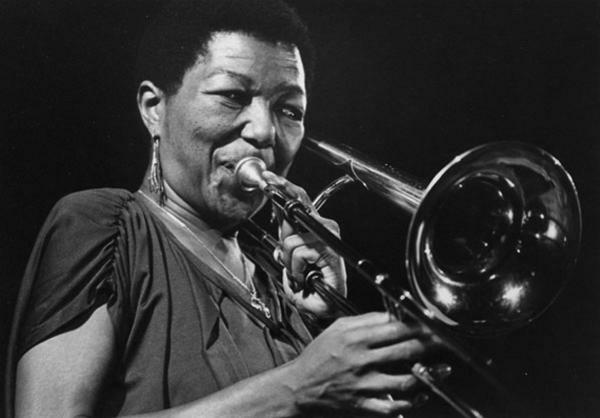 Trombonist and arranger Melba Liston is one of the women featured in a new documentary about female instrumentalists in jazz, The Girls in the Band. New York City Mayor Michael Bloomberg has issued a proclamation declaring Friday "Women in Jazz Day" — an attempt at cultural reform that's bound to enjoy the same resounding success as banning oversized sodas. Which is to say: Nice try, Mr. Mayor. Women in jazz certainly deserve to be celebrated. But trying to persuade arbiters of the jazz canon to make room for women as a fundamental, integral part of our history? You'd have better luck extending term limits again. The mayoral proclamation was occasioned by the Film Society of Lincoln Center's premiere of The Girls in the Band, a documentary about female jazz instrumentalists from the 1920s to the present. Described by producer and director Judy Chaiken as women's answer to Ken Burns' Jazz (the 19-hour miniseries that only spares a minute or two for the contributions of women instrumentalists), The Girls in the Band has already seen its share of festival screenings and won a few awards. Herbie Hancock, who was interviewed for the film, brushed away tears of joy when he watched it, according to a press release. The Girls in the Band brought a tear to my eyes, too, but only because I wish it had gone deeper and been afforded a little more polish, offering viewers an experience as vibrant and well-crafted as the music these women made. Historians won't have trouble nitpicking at the somewhat-jumbled narrative. For example, it doubles back to cover Lil Hardin Armstrong (a 1920s jazz heroine) after WWII. 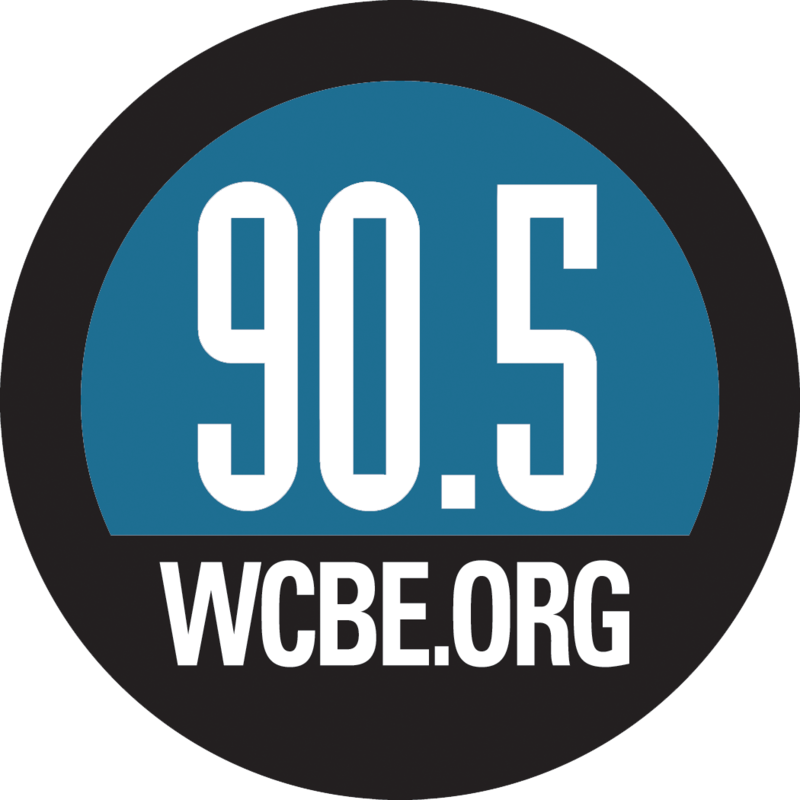 Inevitably, at 81 minutes, it still leaves out very significant players, including vibraphonist Marjorie Hyams, pianist/organist/harpist Alice Coltrane, pianist Marilyn Crispell and violinist Regina Carter. The sound quality is uneven beyond the vagaries that come with re-mastering old media. And uncredited, contemporary musicians blandly fill the gaps between historic gems with piano noodling and knock-offs of "Sing Sing Sing." My biggest complaint, however, is with the interviews. Whether they're with better-known figures (like pianist Marian McPartland, bandleader Maria Schneider and trumpeter Ingrid Jensen) or more obscure pioneers (like bandleader Peggy Gilbert, trumpeter Clora Bryant and saxophonist Roz Cron), the production often renders them as flat as Mayor Mike's Big Gulp. These are remarkably colorful performers who have a lot to say. I've met most of them and, for the record, they're vastly more engaging than Chaiken's portrait would have you believe. I'd still recommend that jazz fans see The Girls in the Band; the film is a respectful treatment of its subject, and the best visual resource available. But if you'd like to get to know this thread of jazz history better, here are some other materials worth exploring. Footage of even the most renowned jazz musicians can be rare, gender aside. Even though the clips in The Girls in the Band tend to be grievously short — brief flashes of technical brilliance that prove these women were as good as the boys, but reveal little else — their sheer number and variety is the film's greatest strength. You won't find all of this material in the same place anywhere else, at least not yet, and it's especially gratifying to connect a name with a performance. For example, Geri Allen never fails in interviews to acknowledge the debt she owes to fellow Detroit pianist and vibraphonist Terry Pollard; how amazing it is to even get a glimpse of her playing in The Girls in the Band. Of course, if you know who you're looking for, plenty of bits and pieces are out there on YouTube. Take Pollard's performance with Terry Gibbs on the Tonight Show in 1956. Extended footage, films and documentaries are hard to come by, but two have been made recently available on Amazon's video service. The International Sweethearts of Rhythm (1986) tells the story of this groundbreaking all-woman big band with greater depth and care than you'll find The Girls in the Band. Tiny & Ruby: Hell Divin' Women (1989) follows two of the former Sweethearts after the band split up — partners for more than 40 years who became cultural heroes for the gay-mights movement. If you can wait a few months, producer and director Kay D. Ray's Lady B. Good should start to make its own festival rounds. A history that covers women's roles in jazz from its beginnings through the 1970s, it raised $25,000 for a final edit via Kickstarter in April. Fingers crossed that it just might just be the documentary we've all been waiting for. If you were going to teach yourself the history of women in jazz, you couldn't do any better than by starting with Sally Placksin's American Women in Jazz: 1900 to the Present, winner of the 1983 ASCAP-Deems Taylor Award (and, thankfully, about to reappear as a revised second edition). Faced with the monumental task of writing the first history on this subject, Placksin deftly weaves biographical information about major figures together with cultural and stylistic shifts. It's on her shoulders that all others who write about women in jazz stand. The golden era for female instrumentalists was during WWII, when horn-toting equivalents of Rosie the Riveter took to the bandstand while the men were away. Sherry Tucker's landmark study Swing Shift: "All-Girl" Bands of the 1940s (2000) is as eye-opening as it is thorough, based on interviews with more than 100 musicians. If instead, however, you'd like to hear what it was like to be a woman with the otherwise all-male bands — told by a single, unwavering narrator — read Anita O'Day's autobiography High Times, Hard Times. There's never been a spunkier, more entertaining broad, as she liked to call herself. You won't want to put it down. Interviews provide other opportunities to hear musicians in their own words, fill in historical gaps and showcase more contemporary talents. Wayne Enstice and Janice Stockhouse's Jazzwomen: Conversations With Twenty-One Musicians is thoughtful and well-executed, as are W. Royal Stokes' Living the Jazz Life and Growing Up With Jazz, broader collections in which women are amply represented. Biographies also offer a wealth of information that escapes the standard histories. Tammy Kernodle's Soul on Soul: The Life and Music of Mary Lou Williams (2004) is a standout, as is Paul de Barros' recent Shall We Play That One Together? The Life and Art of Jazz Piano Legend Marian McPartland (2012). One of the most curious and powerful — and my personal favorite — is Diane Wood Middlebrook's Suits Me: The Double Life of Billy Tipton (2008). A compassionate and sympathetic account, the book tells the story of the cross-dressing saxophonist, who was only revealed to be a woman upon her death. If you were to look at the Smithsonian Collection of Classic Jazz, you might get the false impression that there are no women instrumentalists in jazz, save Lil Hardin's presence on a couple of her husband's tracks. Sadly, there is no equivalent compilation that chronologically traces women's contributions, and female instrumentalists were typically under-recorded. But here are a few recommendations to get the ball rolling. Valaida Snow, Hot Snow: Queen of the Trumpet Sings & Swings (1982): Rosetta Records, run by Rosetta Reitz, collected singles by early jazz women into compilations, released on vinyl and cassette in the 1980s. Admired by composer Mary Lou Williams, singer and trumpeter Valaida Snow starred alongside Josephine Baker in Sissle and Blake's Hot Chocolates musical. Rocked by scandal for marrying a younger man, and the only African-American to be held in a Nazi concentration camp (for 18 months), her life is worthy of a biopic. International Sweethearts of Rhythm, International Sweethearts of Rhythm (1984): Another Rosetta Records compilation from the group widely acknowledged as the finest of the all-woman big bands of yesteryear. Mary Lou Williams, The Zodiac Suite (1945): It's tempting to list some of the great Mary Lou Williams' youthful large-ensemble arrangements here; of course, they were written for and recorded under the name of bandleader Andy Kirk. Arguably her most ambitious compositional work, this spare trio rendering, with one movement per astrological sign, is dominated by Williams' muscular piano. Leonard Feather Presents Cats vs. Chicks: A Jazz Battle of the Sexes (1954): Leave it to producer Leonard Feather to initiate this battle of the bands. Trumpeter Clark Terry, trombonist Urbie Green, tenor saxophonist Lucky Thompson, pianist Horace Silver, guitarist Tal Farlow, bassists Oscar Pettiford and Percy Heath, and drummer Kenny Clarke square off against trumpeter Norma Carson, pianist Beryl Booker, vibraphonist Terry Pollard, harpist Corky Hale, guitarist Mary Osborne, bassist Bonnie Wetzel and drummer Elaine Leighton. All you need to know is "Anything You Can Do I Can Do Better." Hazel Scott, Relaxed Piano Moods (1955): How did Max Roach and Charles Mingus wind up on an album titled Relaxed Piano Moods? A trio outing by the Juilliard-trained pianist with chops to spare, it takes off with "The Jeep Is Jumpin'" and "A Foggy Day." Joanne Brackeen, Fi-Fi Goes to Heaven (1986): Can I go, too? An intelligent and quirky record from the pianist, this mix of standards and original compositions is buoyed by Terence Blanchard and Branford Marsalis. Geri Allen, The Gathering (1998): It's awfully hard to pick a single album by this powerful and distinctive pianist. The Gathering feels weighty and vast, thanks to its selection of complex arrangements. Still, you're never uncertain about who's at the center of it all. Maria Schneider, Sky Blue (2007): Over the years, I've heard a number of men say quite dismissively that they don't like Schneider's music. What I'd like to know is if there's something wrong with them. Easily the most creative big-band composer of the last two decades, Schneider won a Best Instrumental Composition Grammy for her gorgeous "Cerulean Skies." Jane Ira Bloom, Mental Weather (2008): Bloom proved her mettle with Mighty Lights (1982) and broke new ground with her incorporation of live electronics in the 1990s. But this is the album I play over and over again; it's lovely in its use of gesture and saturated by Bloom's plumulaceous tone on soprano saxophone. It's also notable for pianist Dawn Clement. Matana Roberts, COIN COIN Chapter One: Gens de couleur libres (2011): Somewhere between the Georgia Sea Island Singers and the AACM, the saxophonist's earthy, ghostly music has a way of working on you long after it's gone. Roberts' COIN COIN project journeys through African-American memory while embracing a heritage full of dissonances.